How to break in and start earning -- fast! Have you been wondering how you could get a freelance writing business off the ground? This book has your answer! 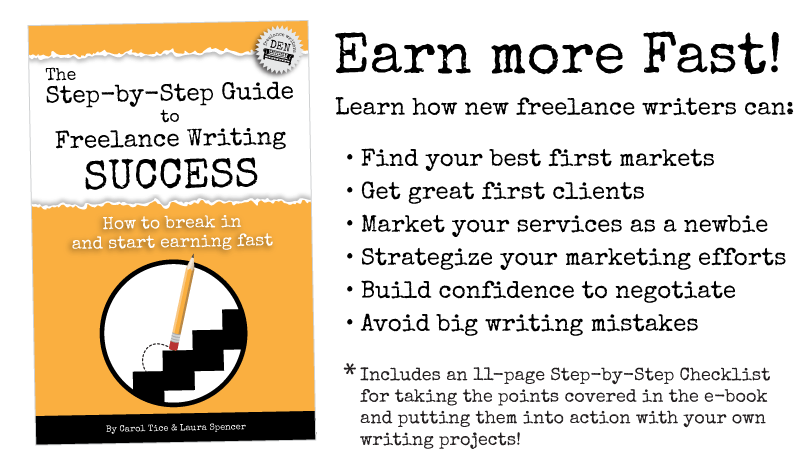 In The Step by Step Guide to Freelance Writing Success, you get everything you need to know to avoid the scams, find first clients, build a portfolio quickly, and get started earning from your writing. Longtime pro freelance writers Laura Spencer and Carol Tice save you eons of time and show you a road map to quickly determine your best opportunities, and launch your freelance business. Just click the button below and we’ll get your e-book coming your way — you get a bundle with all three popular formats, so it’s easy to read wherever and whenever you like. 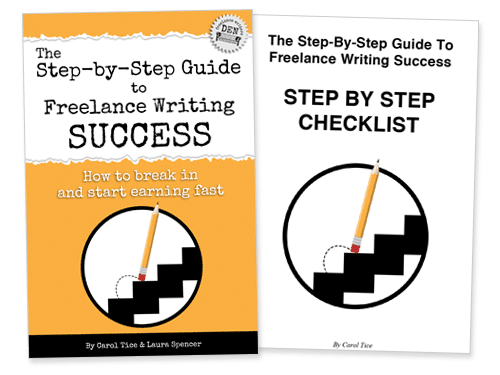 Buy a copy of the e-book and get a FREE Step-by-Step Checklist to help you get on your way to earning more as a freelance writer! Take the points covered in the e-book and put them into action with your own writing projects!